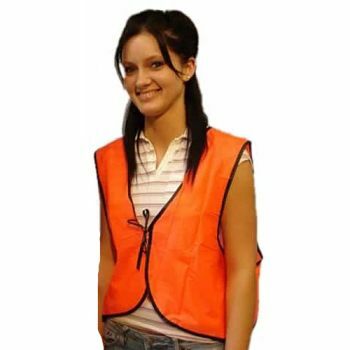 Blaze safety vest. Blaze orange color for complete safety. Ideal vest for individual worker or hunter. Adjustable tie closure for perfect fit. One size fits all!